If you’re looking for help and advice in Japanese knotweed removal and treatment, you’ve come to the right place. We are a specialist and professional Japanese knotweed treatment company, with a solid track record of expertise and experience. What’s more, we guarantee the work we carry out and we follow the Environment Agency Code of Practice for Japanese Knotweed on development site, so we know and understand how to deliver Japanese knotweed controls – correctly and follow the information paper issued by the RICS for Japanese knotweed in residential property issued in 2012. Did you know it’s illegal to plant or encourage the growth of Japanese Knotweed? Or that any soil or plant you move has to be strictly controlled – not just dumped in your green bin? Don’t risk a big fine or anti-social behaviour orders! DIY Japanese knotweed treatment can encourage dormancy and make professional removal more difficult. 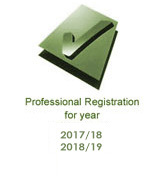 Our standards are as high or higher than the Royal Institution of Chartered Surveyors professional information document, published 2012. Please take a look at our associates’ website. Fast Forward Land Services Ltd.